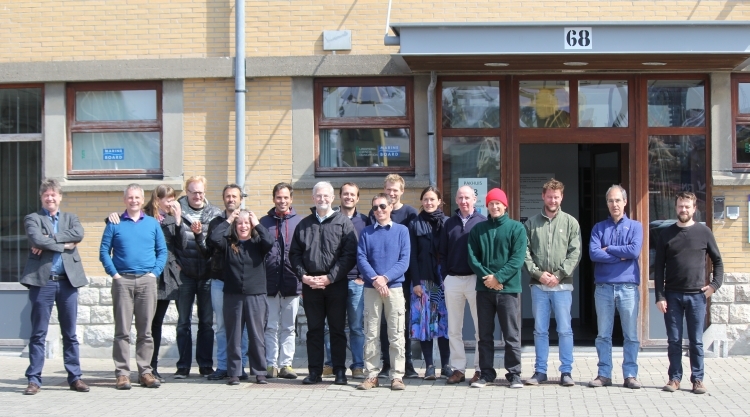 On 19-20 April, the Flanders Marine Institute (VLIZ) hosted a two-day workshop to address several questions to enable such ETN network to become active and operational. The EU funded project AtlantOS is a large-scale effort that aims to foster increased and sustainable transatlantic ocean observation. One of the many actions within it is to promote a European Tracking Network (ETN) to bring together marine researchers based in Europe that use marine biotelemetry as a tool. Although there is a large and growing number of such researchers, they lack either a formal or informal organizational structure. This impedes data sharing, reduces funding opportunities, removes the scientific benefits that could result from working within a network of researchers using common equipment, and obscures the higher community voice that come with it. What challenges and opportunities – scientific, management, logistical, technological and data – does the European marine tracking community face? How could a network approach help with this? What are the transatlantic scientific issues that can be addressed by the technology and the networking? How does the Med, North and Baltic seas link with the Atlantic? What resources (tech support, data center & tools) and synergies (science groups, institutional, industry) can we build for the European telemetry community through a network approach? What should be the short (2 year/project) and long-term (10 year) goals of such a network? What should the ETN governance structure be at this stage of development? What are the important short-term actions we should take? The 2 day workshop in Ostend addressed these questions. Given the nascent state of this network and the current absence of a steering committee, this workshop also served to prepare the way towards creating a more formal network structure.